The pier will look roughly the same with or without the wind turbine. The turbine shaft was concealed by a beacon, seen in this rendering, on a raised platform, both of which remain part of the design. Recent developments with the pier – including faulty steel and welding, and cancellation of the wind turbine – have exposed problems with the information provided to council and our decision-making process. This turn of events has highlighted the importance of learning from past problems on this project. I believe we can – and an important first step is to be transparent and accountable to residents about the cause of the current challenges, and steps being taken to make it right. Staff recently revealed that the pier project has incurred a delay because of problems with the steel and welding ordered for the project. That will create about a three-month delay – until July – before the steel will be delivered. Staff knew about this delay months ago and withheld that information from council and residents, many of whom had contacted me to inquire why no work was commencing on the pier despite the mild spring. Our city manager acknowledged that this is unacceptable, and apologized for not informing council and the public. He added that the steel problems should not impact the expected spring 2013 date. When council (myself excluded) voted to retender the project and increase the budget by $5 million, the hope was that these problems could be avoided by changing contractors and bringing in a new contract administrator. I had advocated working with the original contractor, who was keen to solve the problems with the pier and make it right. The recent challenges under contractor Graham/Jardeg’s watch indicate that even good contractors can run into challenges. The key is to work together to sort them out quickly, and I trust that will be our approach this time around. Staff will now be providing updates on the pier every three weeks, instead of every six weeks. That will help council and residents stay on top of the project, providing we get complete and accurate information. Finally, the staff lead on the project has been changed. As the pier has progressed, costs and delays have escalated as the project itself has gotten smaller. The bottom line is residents are paying more to get less. The original pier approved in 2006 included a marina and a wind turbine, on an elevated deck with a lit beacon surrounding it. The budget was $6 million. The current budget for the project is almost $15million, without the marina (cancelled last year) or the turbine, cancelled last month under a faulty process marked by inaccurate information. Several weeks ago, staff advised that the wind turbine could not feed into the downtown transformer grid without a costly upgrade, and $70,000 in batteries would be needed to store and release power. Based on that information council unanimously voted to eliminate the turbine, a decision most of you supported after I wrote about it in last month’s newsletter (read resident comments here). But I also heard from residents that the grid/battery information council was getting was incorrect. Staff later confirmed that the grid could take the power and batteries weren’t needed. In a subsequent report to council (read it here), staff outlined alternatives should we want to add the turbine back, namely participating in the province’s MicroFIT program for sending energy to the grid. But the report cautioned that we probably wouldn’t be eligible because the program is on hold and there are several hundred applications ahead of us. But it turns out the MicroFIT program is irrelevant: from the beginning the wind turbine was planned to run on net metering, effectively a switch that pulls or sends power to and from the grid as needed. That information wasn’t in the report from staff; it emerged from a wind energy delegation that appeared before committee. It’s clear that staff have been steering council away from retaining the wind turbine; what isn’t clear is why, given that the stated concerns have proven unfounded. When I pressed staff at committee for an explanation (see webcast here) they advised that they had already cancelled the turbine – before council had voted on the matter, and without notifying us until questioned. The city manager has apologized for this poor process, which is appreciated. Ultimately staff suggested the turbine is an unnecessary complication that will add costs and delays to the project. However, council and the public have received no details quantifying either the costs or potential delays. Upon reflection, that rationale doesn’t make sense: the original tender, and the one issued to the new contractor Graham/Jardeg, includes the wind turbine. It is budgeted for and included in the timelines, so there should be no additional costs or delays. Cancelling the wind turbine now would generate a refund of about $60-70,000 which would be eaten up over time with the $3200 annual cost to run the beacon lights that were supposed to be powered by the turbine. Some residents who supported the cancellation of the wind turbine want it reinstated in light of the new information. Others have contacted me expressing concerns about wind turbines in general, including noise, setbacks and visual impacts. Those concerns are worth discussing, but typically apply more to the larger industrial turbines, which isn’t what’s being used for the pier. The pier turbine is very small (literally only enough to power lightbulbs), and would not have the normal noise and setback issues of larger industrial turbines. Residents also raised concerns about the visual impact of the turbine. The look of the pier is the same with or without the turbine. The turbine shaft would be concealed by the beacon, with just the blades protruding above the beacon. The beacon remains part of the design. The elevated deck, on which the turbine would sit, also remains in the design. Your take: Knowing all the facts we now have, should council retain the wind turbine, as originally planned and budgetted for the pier project? A reconsideration motion would require a 5-2 vote. My take on the wind turbine: The pier budget and design include the wind turbine. There may be good reasons for keeping it out, but I haven’t heard them yet. That’s why I have suggested we continue our dialogue on this item until we are satisfied the right decision has been made. My take on the steel: Residents will recall I advocated working with the original contractor to sort out the challenges that arose with construction of the pier. I believed then, and still do, that this would save residents both time and money. The situation with Graham/Jardeg illustrates that good contractors can run into problems on a job; the key is to work with our partner to find solutions in a timely fashion instead of playing the blame game and descending into litigation, as occurred with the previous pier contractor. 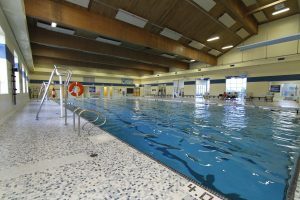 Perhaps in light of this recent situation we will be more fair and balanced in our remarks about the former contractor, who has received only criticism and blame untill now, despite having successfully completed a number of projects in our city before the pier, and elsewhere since, including a pier project in Hamilton. My take on process: Good process and accurate information were clearly lacking on the wind turbine and steel discussions. The intent in discussing it here is not to embarrass anyone or prolong the situation, which is difficult for all of us. Rather, the intent is to foster transparency and accountability, learn from the situation and prevent it in future. We learn by understanding what’s occured; we understand what’s occured by talking about. We need to do better, and we will. There is perhaps a silver lining: council did, eventually, get accurate information, due to the efforts of many residents. Thank you for your engagement and commitment. In addition, our city manager has admitted the process was inappropriate; that is commendable, and is the first step toward making changes. There is also a commitment to work with our current contractor to sort out challenges as they arise. That’s the right approach. 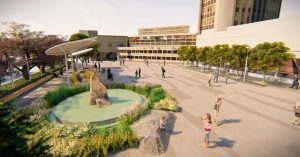 We are not out of the woods yet, on the pier, and we all – staff, council and residents – will need to work together as a team to ensure successful completion. If there is no wind turbine and no marina, what’s the point of this pier ??? This sounds like the treatment for Three Stooges movie! Retain the turbine and ‘let go’ of city staff who mislead. And where did all this bad steel come from? Marianne I think the wind turbine is a design feature of the original pier and also would send a powerfull and highly visible message regarding the use of renewable energy as well as powering the pier lighting for many years into the future. As such I think it should be installed as planned. Further, I also think this whole pier project is fraught with poor project management practises on behalf of the City, which would not be tolerated in private industry and I’m not surprised that this is continuing to this day. I note that you say the project lead has been replaced and this is a good start. Hopefully this will also send a message to others involved that this has become a major embarrassment and cost burden already to the City and therefore practises need to be tightened up so that the project gets finished ASAP with full disclosure and appropriate oversite by Council. Marianne- I think the turbine should definitely be added! The cost of energy (and the impact on the environment to produce it) is only going to continue to increase in the years to come. A 22 year payback (on a pier that has a 70+ year lifespan too) is not that long into the future and I am happy to think that a decision now will ease future generations from taking on costs for the choices we make today. Anyone that thinks otherwise is clearly selfish and inconsiderate of the world we’re leaving for our children and our children’s children!! Sure the pier hasn’t been the most ideal project this city has ever undertaken, but it is what it is, and we shouldn’t compromise the potential as a feature because of a few dollars more. Marianne, thanks for keeping this issue alive. I have requested information from staff by way of my Councillor John Taylor in the way of a copy of the schedule as it was before the cancellation of the turbine (say Feb/2012) and currently (after cancellation). The resurrection of the turbine was given as a likely cause for schedule delay (May 28 meeting). I find it hard to believe that the turbine would be a critical element in the overall schedule. The turbine itself is a stock item as are all the ancillary items such as meters, conduit etc. I have also requested a statement from staff stating that the pier is capable to support the turbine. A turbine can exert some strange forces during a hurricane such as vibrations, which may have been left out of the calculations. Perhaps the City can install the turbine after completion of the pier if a case can be made that including it now threatens the current schedule. I have not received answers to either of the two requests as yet. Baffled why two members of council saw fit to praise staff (May 28 meeting). What do you have to do to get a reprimand at City Hall! It appears the the Shape Burlington report is gathering dust. The citizens were not involved in the cancellation of the turbine. At $3,200 per year to run the lights versus a potential immediate spend of $70m, the payback on the turbine is almost 22 years!..Where is the logic in that? Scrap the turbine. The project is beyond over budget already when a very easy opportunity to save money is presented, why not take it? For those with green in mind..and I’m one, why not spend the money on tree planting, or conversion of other city lighting to LED for real immediate savings? Hi Marianne, I believe the wind turbine should be reinstated as budgetted and as planned. As a former noise consultant who helped set the sound level limits for wind turbines in Ontario and now as a renewable energy consultant working out of my “green” home, I feel the wind turbine provides a positive statement about being green, I do not think it poses a noise problem as it has to meet government sound limits. However, I have not seen the financial analysis and net metering typically has a long payback period. The microFIT program would be more lucrative but not by much even if it were approved.Technically, a vertical axis unit rather than the propeller style shown in the photo may be more efficient as it works better in turbulent wind close to the ground ( see the units on Durham College along Hwy. 401 in Oshawa). It appears the turbine was considered to be a feature just like the pier itself, not an income generator so if it saves or generates any money, it’s a bonus. If income generation were the thought, why not charge admission to the pier or ask for donations? It’s true batteries are not required unless there is a load that depends on electricity generated soley by the turbine. I do not think this was in the original planning. In summary, go for it understanding the full story and do it for the better good. It’s time we stopped basing everything on the bottom line and considered longer term thinking for the future generations even if it costs us a bit of money. I think if we remove the turbine the pier’s (sail?) lamps look strange. The turbine provides an area of focus and balances the design of the other functional and decorative elements while it symbolizes our interest in future energy sources. I love that it sustains it’s own energy needs for lighting. Until we hear any good reasons why we shouldn’t keep it; keep the turbine. Absolutely the turbine should be installed as planned. Doing so is respectful of the taxpayer and the environment not to mention the beacon will look incredibly stupid without it. Yes, process was definitely flawed. Shameful that Council got an apology from city staff but BurlingtonGreen who are responsible for flagging the incorrect information presented to Council in the first place and for bringing the facts and experts in front of Council so they could actually make an informed decision get zip – no thanks from staff or Council and certainly no apology. So much for improved city ~ community relations. I’m just shaking my head here. Is this “city manager” giving false information to council due to incompetence? or is it a matter of being duplicitous? Either is unacceptable. We do NOT elect a “city manager”, although I’m sure he or she is being well compensated for what certainly appears to be a less than stellar performance. Do we need to go to a US style “let’s vote for everyone” type of city government? I certainly hope not, but the current method of getting things accomplished seems to more of an example of the monkeys running the zoo. Put the wind turbine in! And please. please get something done. Marianne, this “steel problem” is getting repetitive and tiresome. We deserve to know just what the “steel problems” are. Structural steel is a simple, universally available material with known properties, costs, performance, and durability. Structural steel welding is the simplest of all welding jobs requiring no special skills such as pressure-vessel welding etc. Something or someone is hiding behind “steel problems”. Is the design or redesign bad? Is the steel semi-stainless or some other exotic that has delayed delivery? Is the contractor too busy to tend properly to the job? Is there a penalty clause in the contract? Is the City ahead or behind on progress payments, if there are such? Is there a skilled-trade shortage? What does the City have, in writing, by way of a schedule review and plan? Will the delay force someone to work on into the winter, causing further delay? Is there a contingency plan if work must be delayed owing to the Great Lakes’ famous “gales of November”, when 6-metre waves crash against the break wall and everything is slippery? “Steel problems” is too handy and simplistic, I suggest. Given what you say above I think we should have the wind turbine. We should not be adding $3200/year to the Burlington budget when we have already included and paid for a wind turbine which will provide the electricity. It seems foolish to give up the “green” component of this project. 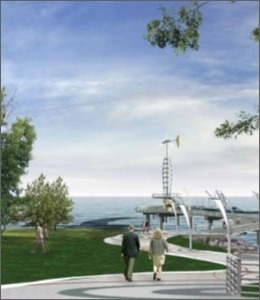 My pier has always included a wind turbine and I hope this remains as per the original design. It sends a positive message and is functional. To see a beacon without it is a missed opportunity at such an obvious location to promote that COB is open to a future that includes renewable energy. There must be some other reason that city staff are not making public even to Councillors why this logical feature cannot remain. Who knows what, and when will we all know? Hi Marianne: Thanks for the informative newsletter. On the turbine, my wife and I hate wind turbines period. They make no economic sense and intrude on the natural beauty of out environment and the pier. Glad they are gone. Yes the turbine should be reconsidered and installed – as you point out there doesn’t appear to be any reason not to and it is already purchased and ready to go as per the original plans and budgeted.